Our Recent Chinese New Year Project! 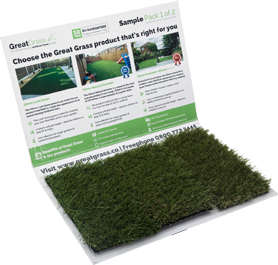 During our many years as the UK’s leading provider of artificial turf, here at Great Grass we have worked on a number of high profile projects- which all add up to make an impressive portfolio and loyal customer base. After working with the likes of Manchester United Football Club and countless commercial clients throughout the Manchester area, it’s no wonder why our grasses are considered superior to any other you are likely to find. This means that we were incredibly pleased to be asked to work on a huge project in Exchange Square, as the entire city of Manchester geared up for absolutely massive celebrations for the Chinese New Year. The streets were completely packed for the annual bash, and whole city was alive with the buzz of the festivities. We laid down a large stretch of grass in Exchange Square as part of an exciting exhibition displaying the famous Terracotta Warriors. The entire display was created by artist Xia Nan, and tells ancient story of Chinese lantern making and the “terracotta army.” The use of our grasses only served to add to the already-impressive exhibition, as the dash of colour certainly succeeded in drawing the eyes of those passing by. Just like with all of our clients, it goes without saying that Great Grass completed the work in a timely and professional manner, and the quality of our work was there for all to see! We’re delighted to add this to our portfolio of outstanding work, and hope it shows exactly what makes Great Grass number one! Here at Great Grass, we provide the best artificial grass in the UK, and that’s why it’s used so often in commercial projects, as well as residential renovations. Please get in touch if you’d like to know more about the products and services we have available!